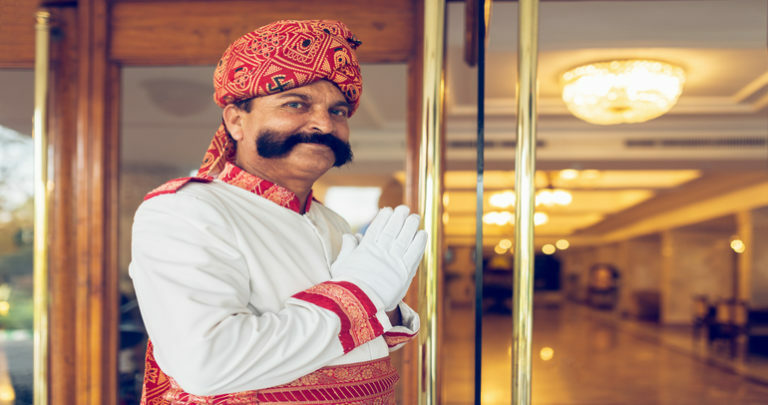 Indian hospitality sector is beginning to witness some unprecedented growth from the time new hoteling models have disrupted the whole conventional scenario. An analysis was done to understand the value addition through various hotel aggregator model on the basis of customer and partner experiences. And what could be the resultant value addition of each model to customer experience, once an independent hotel partnered with a branded hotel aggregator. Along with the perceived and experience value addition of such partnerships to various business aspects such as occupancy levels, staff training, brand management etc. The approach for this engagement was two-fold. First, we conducted a mystery shopping exercise, which was done by 30 respondents who stayed in various kinds of hotels, both branded (hotels partnered with hotel aggregating platforms) and non-branded across 6 cities. The satisfaction of these respondents was rated across key parameters like stay, food courtesy, staff behaviour etc. for both branded and non-branded hotels. Second, we identified 100 branded hotels across 6 cities and conducted in-depth interviews with their owners to understand their perception/experience with various hotel aggregator models and how they performed on some important KRAs. We then analysed the inputs from the two sides and shared our findings. The results of the above experiment were pretty interesting and the key noticeable thing that came out was the change in consumer demands with respect to the hospitality sector. Hospitality is no more restricted to service and needs, it has gone a level ahead in creating a user experience for the consumers which they carry for a long time. It is this experience that compels them to come back to a particular offering and develop a long-lasting bond with the brand or the hotel chain. Many such aggregations have taken place in the available space and there have been quite a number of players that have acquired the space and penetrated in the market really well. The parameters leading to customer satisfaction ranges from food quality to staff behaviour to customer courtesy and many more. Consumers even from the unbranded hoteling segment have shifted to branded segment just to experience and avail new form of offerings that have now disrupted the market. The pricing policy is also an important factor that demarcates the product portfolios and the consumers targeted. The client after receiving all the information could formulate a strategy which involves all the attributes, both from the demand side and the service side. Also, a competitor’s analysis was also on the table to give the client a better picture of the competitive landscape, so that a strategy could be built around that. The findings and insights were used by the client to assess the impact of the partnering with a hotel aggregating player on the partner hotels and the change in consumer satisfaction between the branded and unbranded hotels.